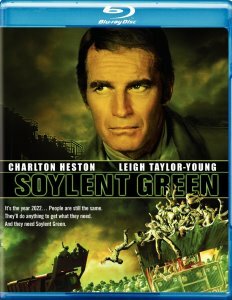 Description: In an apocalyptic future after the head of the company that makes a much needed source of food called Soylent Green is murdered a detective tries to uncover the reason for the murder and discovers the secret ingredient of Soylent Green. 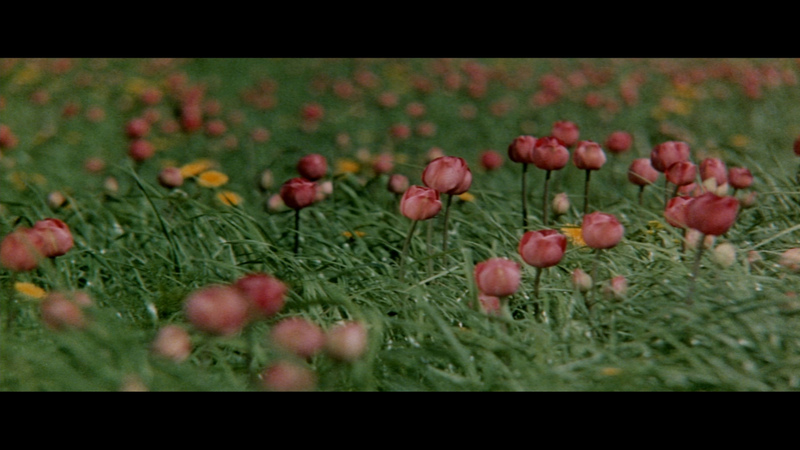 Richard Fleischer directed this nightmarish science fiction vision of an over-populated world, based on the novel by... Harry Harrison. In 2022, New York City is a town bursting at the seams with a 40-million-plus population. 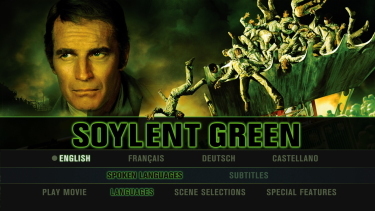 Food is in short supply, and most of the population's food source comes from synthetics manufactured in local factories -- the dinner selections being a choice between Soylent Blue, Soylent Yellow, or Soylent Green. 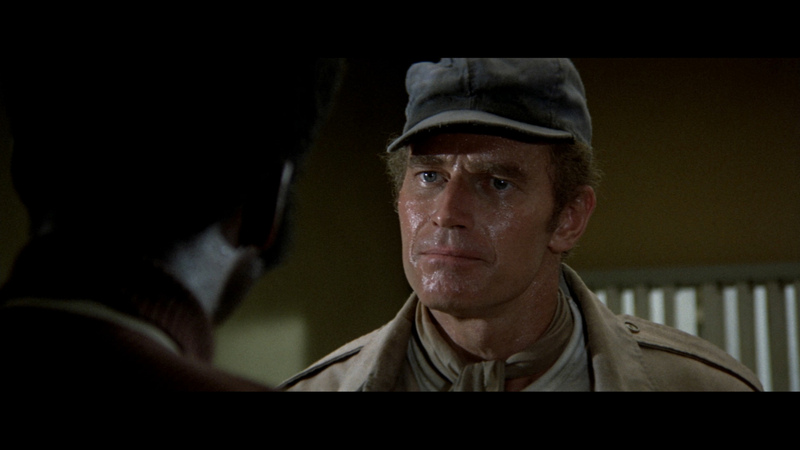 When William Simonson (Joseph Cotten), an upper-echelon executive in the Soylent Company, is found murdered, police detective Thorn (Charlton Heston) is sent in to investigate the case. 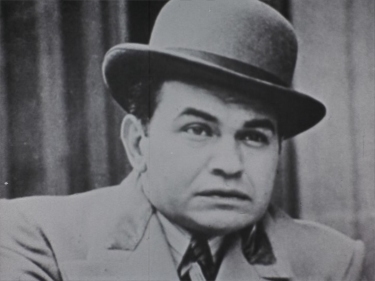 Helping him out researching the case is Thorn's old friend Sol Roth (Edward G. Robinson, in his final film role). As they investigate the environs of a succession of mad-from-hunger New Yorkers and the luxuriously rich digs of the lucky few, Thorn uncovers the terrible truth about the real ingredients of Soylent Green.~ Paul Brenner, All Movie Guide. 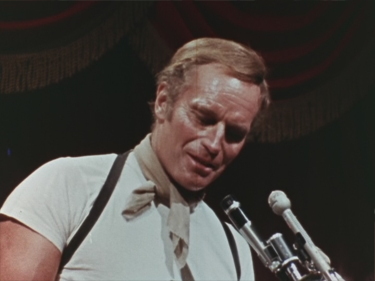 Charlton Heston, as a harried detective investigating the murder of Joseph Cotten, a bigwig in the dictatorial Soylent Company (whom we see only fleetingly), is aided by the late Edward G. Robinson in his last role as an aged, wise, suspicious researcher, who remembers the good old days of steaks and the like. 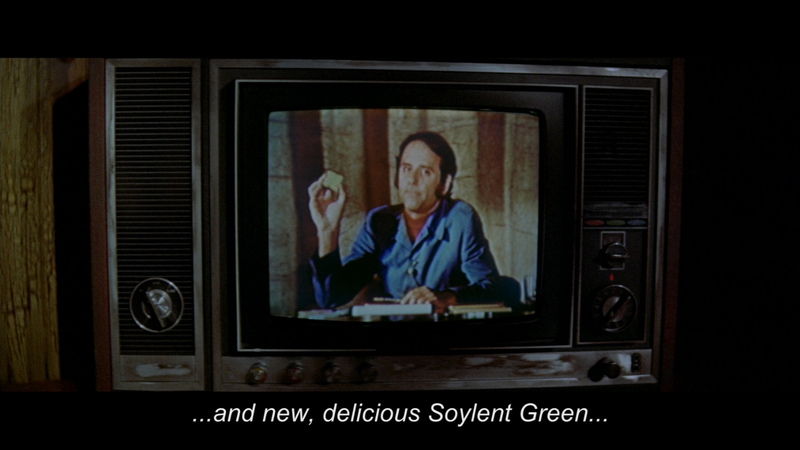 And, finally exposed by a bewildering succession of hungry citizens, overcrowded streets, fancy pads and the resident, luscious lasses (called "furniture" here) of the rich few, is the awful truth about the secret ingredient of "Soylent Green." 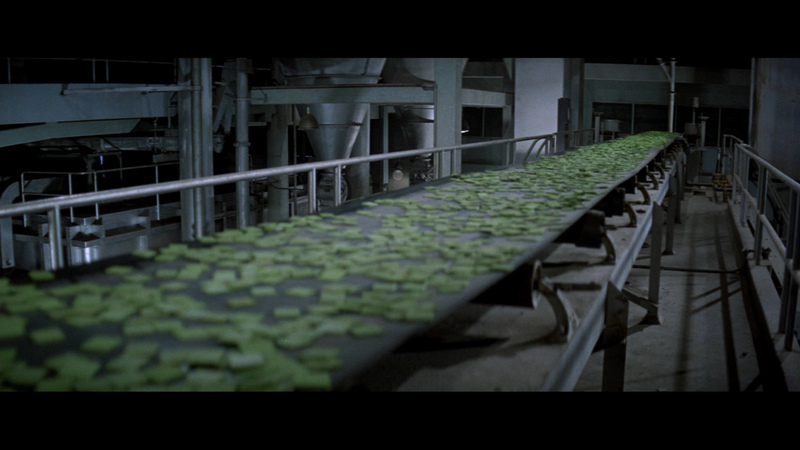 Soylent Green appears modest on Blu-ray from Warner still showing some digital noise but also some grain giving it texture. 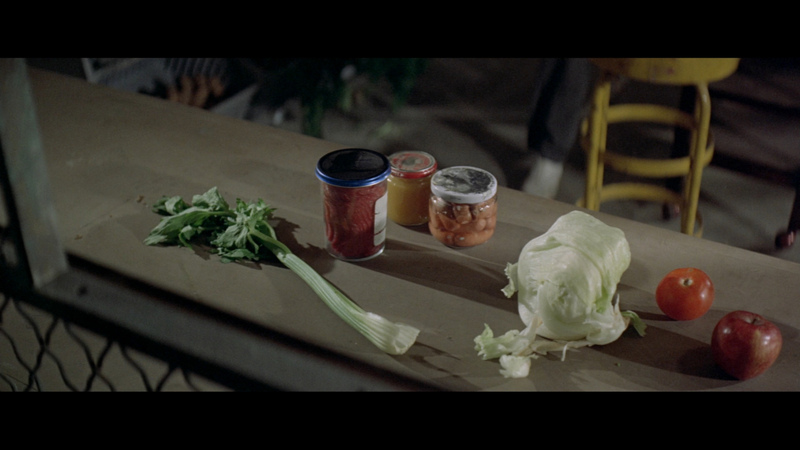 The image quality - while only a single-layered disc - is easily identifiable as being a ahead of the previous DVD. 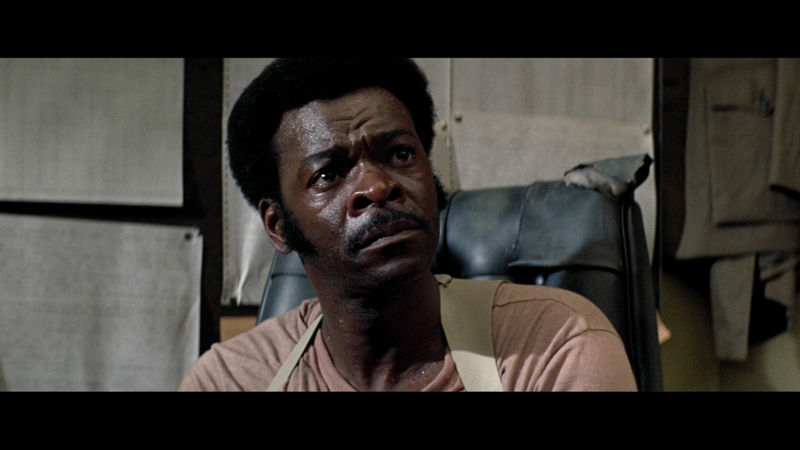 Chuck's sweaty glow is in evidence and there is some surprising depth. This Blu-ray - by modern standards - is fairly tame visually but as a representation of the original - I doubt much more could be done. The bulldozing of people scene is still with the intentional greenish hue and the nature panorama for Sol's demise is impressive. 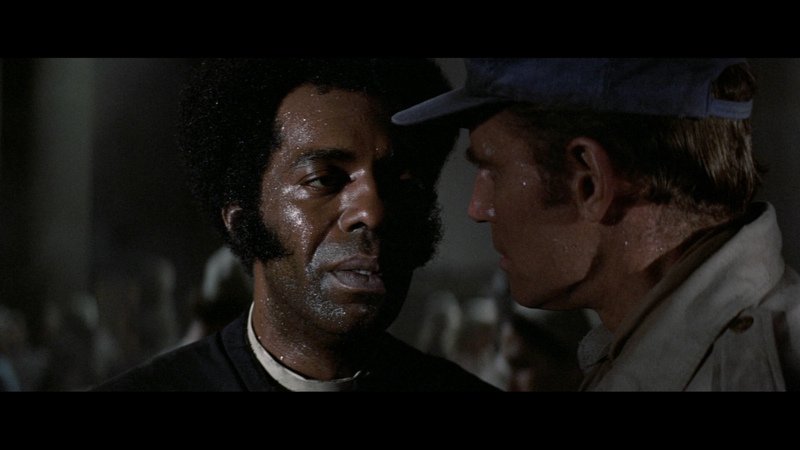 This Blu-ray won't knock your sock off but gave me a consistent and enjoyable presentation. No boost going on here - its a lossless mono track pushing exclusively through the center channel. I like the authenticity but fans who indulge for their Surround systems will be left wanting although this is not such an aggressive flic in the action sense, regardless. There are optional DUBs and subtitles and my Momitsu has identified it as being a region FREE disc playable on Blu-ray machines worldwide. 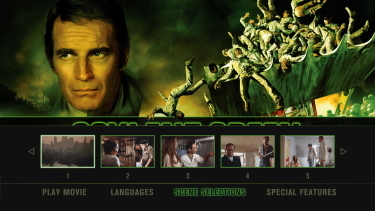 Nothing new with the, occasionally, awkward commentary by Charlton Heston and Leigh Taylor-Young. Heston, his generation's 'Arnold', is always keen to listen to as a potential loose canon and he has that distinctive voice. 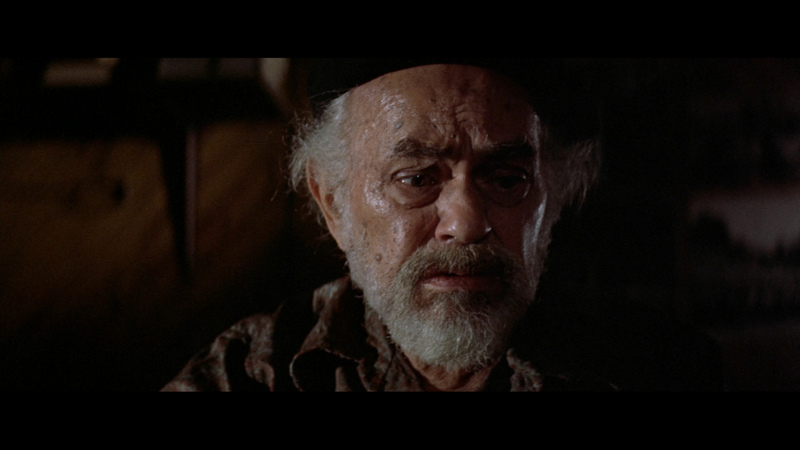 We also get a reflection on cinema's rendition of the future in 'A Look at the World of Soylent Green' - running about 10-minutes and a brief Tribute to Edward G. Robinson's 101st film by MGM. 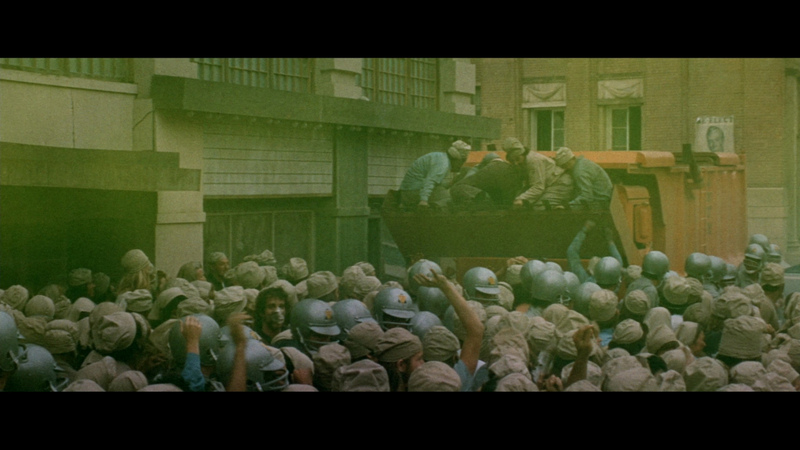 Also is a 3.5-minute trailer for Soylent Green. In Heston's era the apocalyptic future was always a strong and popular film theme including The Omega Man, a side-step with the original Planet of the Apes and this, one of the classics of the doomed-world genre; Soylent Green. His later career steered to these sci-fi vehicles and he was spot-on as the brazen protagonist questioning the hidden secrets of the 'establishment'. 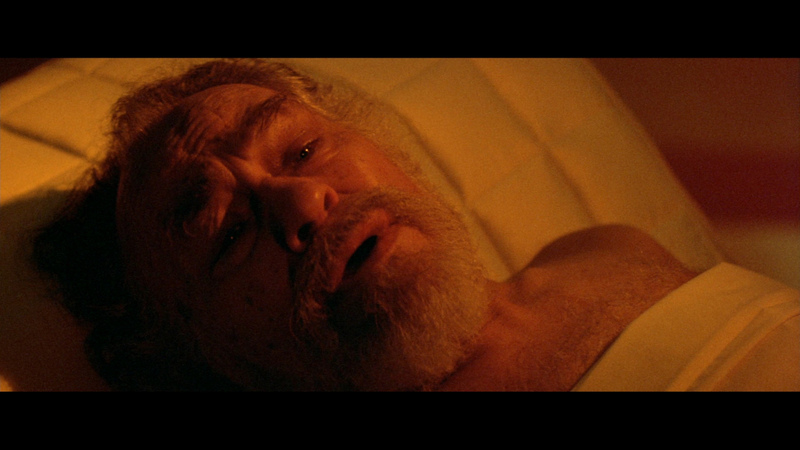 This is a true culty gem and Edward G. lends some appreciative class. 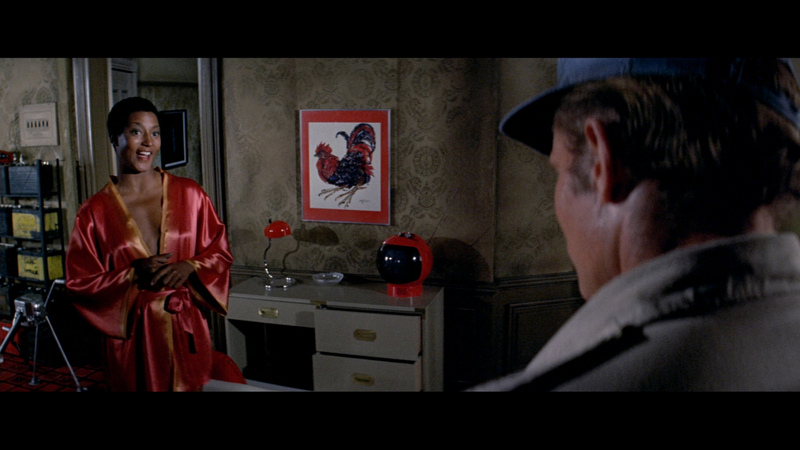 The Blu-ray is not the strongest we have seen from the format but is the best of the digital bunch to date. This is a must-see which, hopefully, will prove inaccurate to our respective futures.